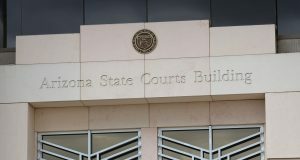 A judge has ordered the public release of sealed records in a dismissed criminal case against a man who had been accused of carrying out shootings last summer on metro Phoenix’s freeways. The records include a ballistics report that attorneys for Leslie Merritt Jr. say led to the dismissal of his case late last month. The documents will be publicly released within the next 14 days after lawyers have redacted the personal information of victims and witnesses. The ruling Tuesday by Maricopa County Superior Court Judge Warren Granville marked a victory for Merritt, whose lawyers insist there is no evidence against their client and contend prosecutors are trying to keep private their failures in the case. The judge, however, turned down a request from defense attorneys to bar prosecutors from refiling charges against Merritt. Prosecutors asked the judge to keep the records under seal, saying releasing them could hamper the continuing investigation into the freeway shootings. Jason Lamm, one of Merritt’s lawyers, scoffed at the notion that charges could be brought against his client in the future. “We are not foreclosing the possibility of a purple elephant running down the courthouse plaza either, but I wouldn’t bet my last dollar on it,” Lamm said outside of court. Prosecutor Vanessa Losicco argued it was premature to release the documents. “It is my understanding that (the Arizona Department of Public Safety) is working to determine more evidence in this case,” Losicco said. Defense lawyers have contended that ballistic tests cast doubt on the claim by authorities that Merritt was behind four of the freeway shootings. Merritt, who spent seven months in jail before his release from jail in late April, has maintained he is innocent and that authorities arrested the wrong person. He filed a legal claim ai??i?? a precursor to a lawsuit ai??i?? demanding $10 million from the state and county. Merritt alleged that authorities rushed to judgment and failed to provide evidence that he was present at any of the shootings. In the wake of last summer’s shootings, the head of the Arizona Department of Public Safety said they were the work of a domestic terrorist, and authorities heightened patrols and surveillance in pursuit of a suspect. Detectives took Merritt into custody on Sept. 18, prompting Gov. Doug Ducey to declare “We got him!” on Twitter five minutes after the arrest. The decision to throw out the case leaves unanswered questions of who might be responsible for the shootings. No one else has been arrested in the investigation. 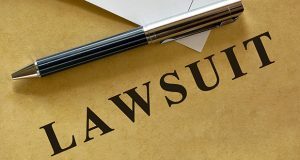 Merritt’s attorneys asked the court to publicly release the documents, which had been the subject of a gag order aimed at protecting Merritt’s pretrial rights and preventing interference with the case’s witnesses.